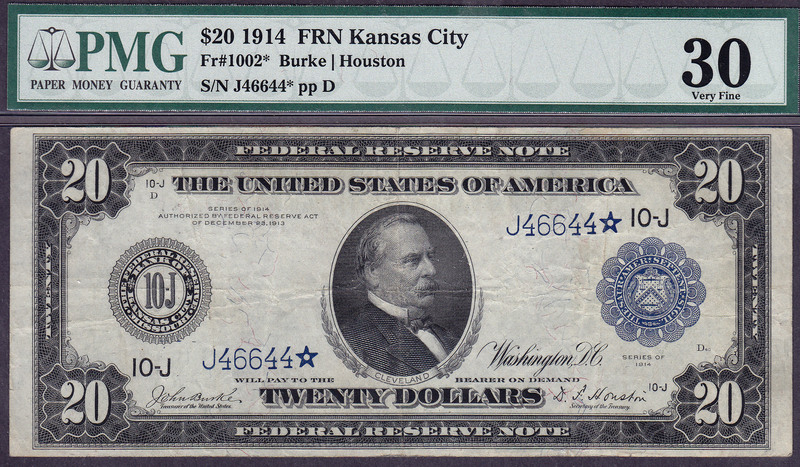 Nice overall 1914 $20 FRN Kansas City Star note. It is tied for the finest of 11 known. There is one small pinhole in the face of Cleveland near the eye. 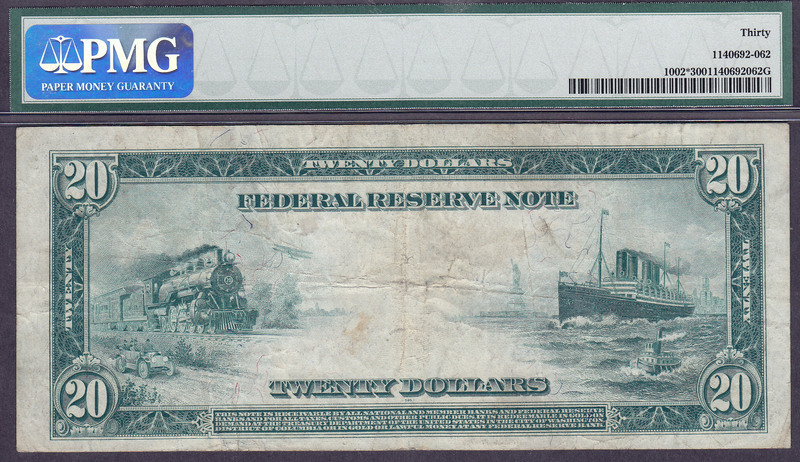 $20 FRN Stars are real tough to find in a decent condition. 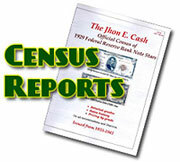 The serial # is J46644*. PMG-30.